May 24 Alison Wonderland in PERTH! Alison Wonderland has to be the queen of concept tours and unconventional venues. Earlier this year, in promotion of her debut album Run, she threw a string of free shows for those loyal fans that pre-bought her album. The catch? They were all at stripclubs. Alison is returning to Australia post-Coachella with a nationwide tour that will reboot her Wonderland Warehouse Project. Promised to be bigger and better than the first, the supporting acts Motez, SLUMBERJACK, and Cosmo’s Midnight (a surprise for those at the Perth and Brisbane shows) seemed to be a who’s who of Australia’s up-and-coming in EDM, I was pretty hyped for the night, and it did not disappoint. The sold-out Perth show had an expected attendance of over 2,000 people, none of whom knew where this party was going to be until the morning of. All we knew was that it was going to held in a warehouse somewhere. In style of an underground party, punters would receive an SMS with the details of the venue the day of, where Alison has said she is “100% making sure it’s gonna get crazy”. With hectic moshes, every other person climbing on someone’s shoulders, and even a guy climbing up to and hanging off the ceiling, it pretty much did. SLUMBERJACK, a Perth duo who have been regular additions to Alison’s shows, played a bass-heavy set featuring some Golden Features, Carmack and a “Bugatti” rework, and also included some of their originals. Despite playing a number of crowd-pleasing tunes, their set seemed a bit disjointed, and not because they were cut off a couple of times because of technical difficulties. They interrupted the music every now and then to talk to the crowd, but it seemed a little forced, resulting in what felt like an incomplete set. The Perth and Brisbane shows were surprised with last-minute additions to the tour Cosmo’s Midnight. The Sydney-based twins started their set with a dreamy rework of O.T. Genasis’ lyrical masterpiece “CoCo”, arguably the best start to their 45 minutes of futuristic dolphin pop EDM. 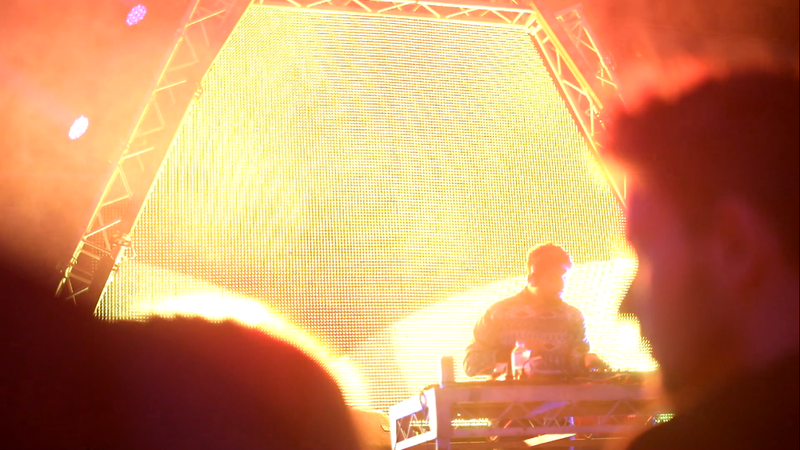 Last but not least was Adelaide producer Motez whose set featured ground-shaking bass and awesome visuals. It was at this point that I decided to move out of the mosh and towards the back, in need of some groove space, what the drunken pingin’ mess of people was not allowing me. Cashmere Cat and Lido, and there was the sneaky Simon Says sample that made the crowd go crazy. I can easily say that her album is not one of my favourites, but I can most definitely say that her show has been one of the most memorable experiences. Her tunes are definitely better appreciated live. 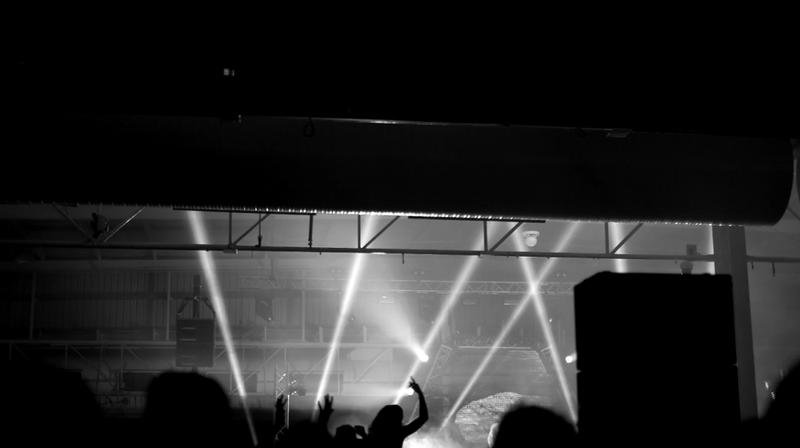 Dropping banger after banger, Alison Wonderland and friends succeeded in giving punters the underground concert experience, with a secret location and even cops cutting the show off (darned curfew!). Alison Wonderland continues onto Adelaide, Melbourne and Sydney next week for the remainder of her tour.